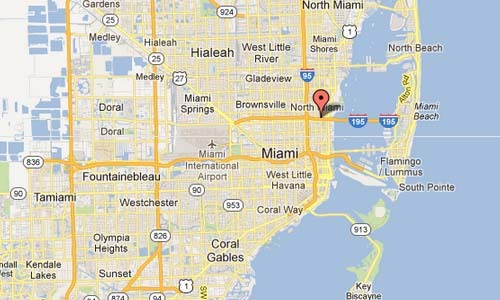 NE 39 Street is a street in the Design District in Miami Florida, USA. The photo is made where Northe East 39 Street meets Northe East 2 Avenue. 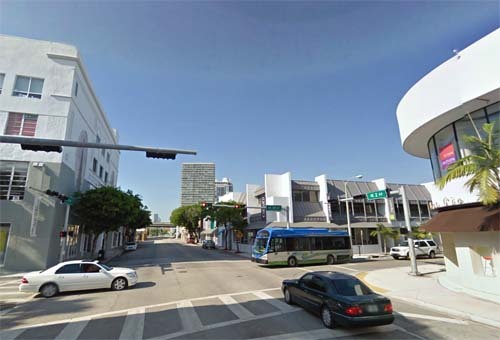 The Design District, historically a part of the Buena Vista, is a neighborhood of greater Midtown, Miami, Florida, United States, south of Little Haiti. It is roughly bound by North 36 St (US 27) to the south, North 43rd Street to the north, West First Avenue to the west and Biscayne Boulevard to the east. The Design District is made up primarily of old low-rise warehouses and gallery spaces, that have been reconverted into retail spaces, art galleries, restaurants and cafés. The Design District is in the crossroads of many prominent Miami neighborhoods, with the artsy Wynwood neighborhood to the south, Little Haiti and the historic 1920s Buena Vista neighborhood to the north, and the wealthy Upper East Side neighborhoods to the east. After decades of falling to urban decay, the Design District has risen to fame as a destination for the arts, design, and fashion. It is home to over 130 art galleries, showrooms, creative services, architecture firms, stores, antiques dealers, eateries and bars. Every 2nd Saturday of each month a community wide Art & Design Night is held from 7-10 pm. A popular event, Art Galleries and Design Showrooms open their doors to the public for music and refreshments. Miami is a city located on the Atlantic coast in southeastern Florida and the county seat of Miami-Dade County. The 42nd largest city proper in the United States, with a population of 408,568, it is the principal, central, and most populous city of the Miami metropolitan area, and the most populous metropolis in the Southeastern United States. More information at www.miamidesigndistrict.net and en.wikipedia.org.